Art Therapy Sessions- Training- New ONLINE workshops 2019!!! We would like to receive your opinion, please. It is in relation to the themes and Art Therapy tools that you will be interested in practice for the year 2020. Gestalt Art Therapy centre acknowledges Aboriginal and Torres Strait Islander Peoples as the First Peoples of Australia, and we pay our respects to their Elders past and present with whom we share this great country. and our suggestion is, if you are able to participate at some of the workshops at our centre and/or in the Art Therapy retreats, come and participate! because your training will be more complete if you have the chance to practice and inter- actuating with more people. 4 Blocks, 8 Modules, & opportunity to work with us. Achieving the level 8, obtaining the Certificate High Distinction, Certificate CAT®I, II and HD, offers the opportunity to the recently Certified, Gestalt Therapists/ Psychologist/ Counsellor, Social Worker, Art Therapist, “Work with us”. Note: To be able to participate at this CAT®T level you must to complete the training CAT® I, CAT® II and CAT® HD High Distinction. will give you CPD or OPD recognition. 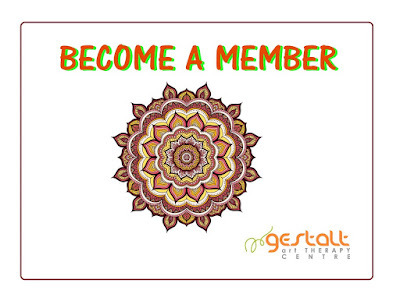 GESTALT ART THERAPY CENTRE ("us", "we", or "our") operates the https://gestaltarttherapy.com website (the "Service"). Legal notice for the collection of data and its incorporation into automated files. Gestalt Art Therapy centre complies with the Australian Government Privacy Act 1988 on Personal Data Protection. More information here. GESTALT ART THERAPY CENTRE will also retain Usage Data for internal analysis purposes. Usage Data is generally retained for a shorter period of time, except when this data is used to strengthen the security or to improve the functionality of our Service, or we are legally obligated to retain this data for longer time periods. Under certain circumstances, GESTALT ART THERAPY CENTRE may be required to disclose your Personal Data if required to do so by law or in response to valid requests by public authorities (e.g. a court or a government agency). If you are a resident of the European Economic Area (EEA), you have certain data protection rights. GESTALT ART THERAPY CENTRE aims to take reasonable steps to allow you to correct, amend, delete, or limit the use of your Personal Data. The right to withdraw consent. You also have the right to withdraw your consent at any time where GESTALT ART THERAPY CENTRE relied on your consent to process your personal information. We may provide paid products and/or services within the Service. In that case, we use third-party services for payment processing (e.g. payment processors by Paypal).